Last night I took a little walk. 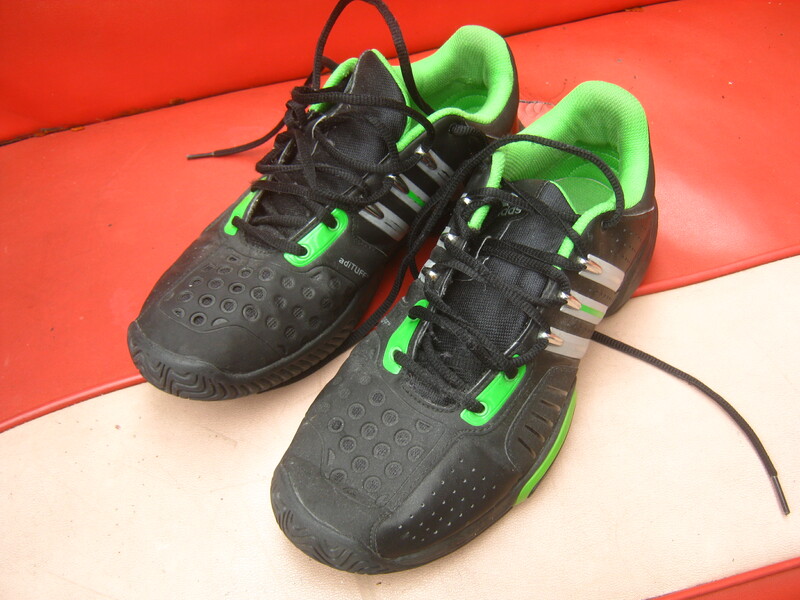 It was recycling night in my area and someone had put out these running shoes. They fit me pretty well and they’re in very good shape. I’m going to keep them as some of my other shoes are starting to fall apart. 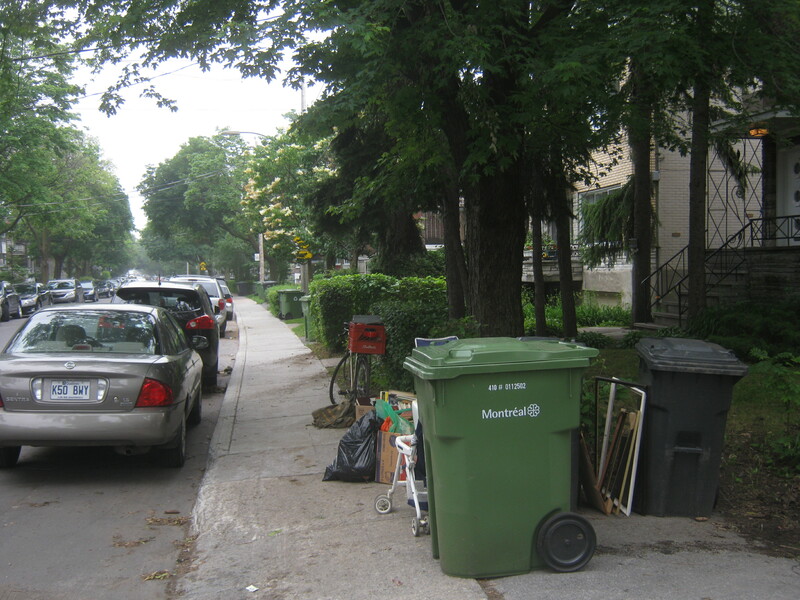 I got up early this morning to check out Outremont and Rosemont. 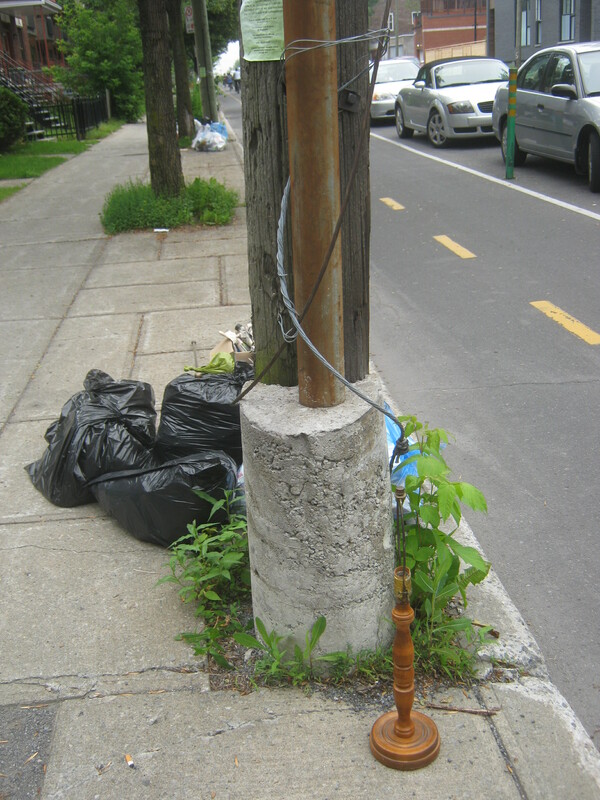 I don’t go to Outremont too often (lower population density means less bang for your buck trash-wise) but I decided to check back on a place where I found some nice stuff previously (in my June 20th post). I didn’t find anything there but I came across another good spot not far away. 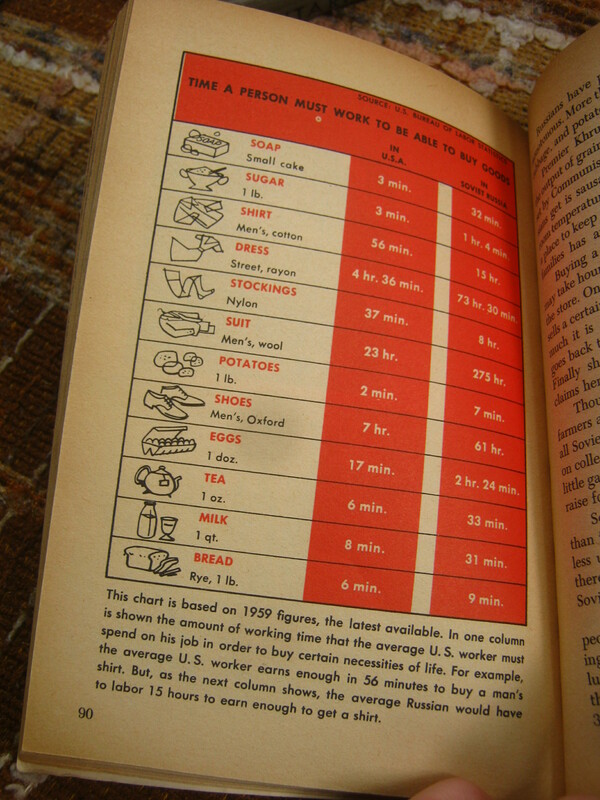 It was mostly books and other little bits of ephemera. I took home a selection of the things that stuck out the most. This is an old unused sticker. I think whoever used to own this was a Russian Jew, as a lot of the books involved Judaism and Russia. 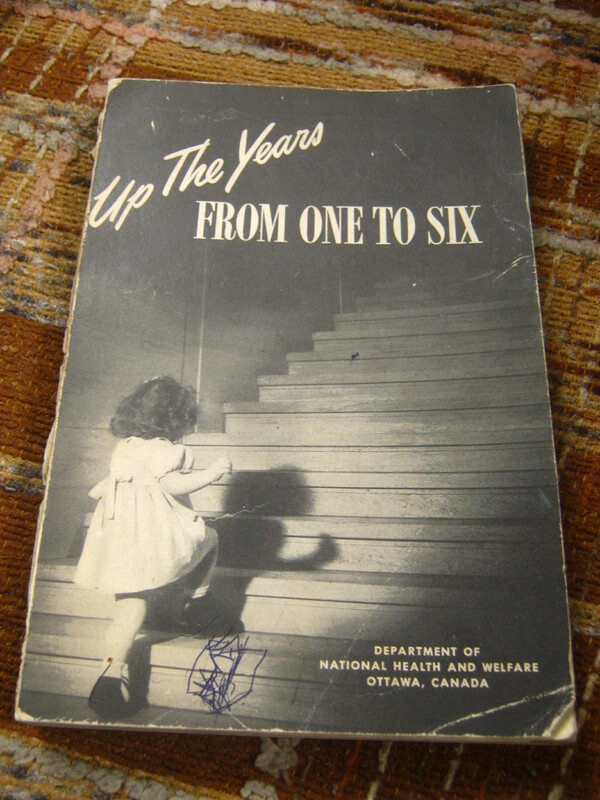 A book for parents of one to six year old children from 1951. 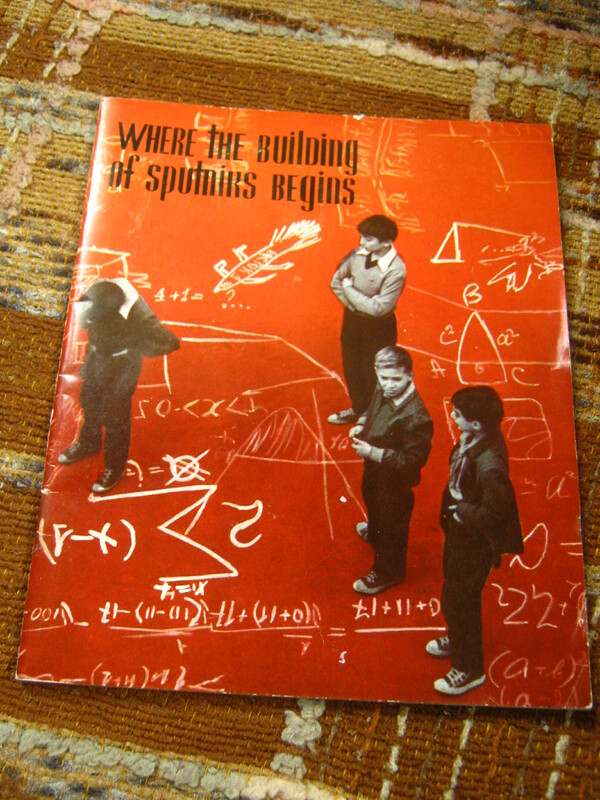 It includes an interesting chapter about the fears kids get at that age. They don’t really sound that much different (simpler, maybe) than the ones us adults experience. 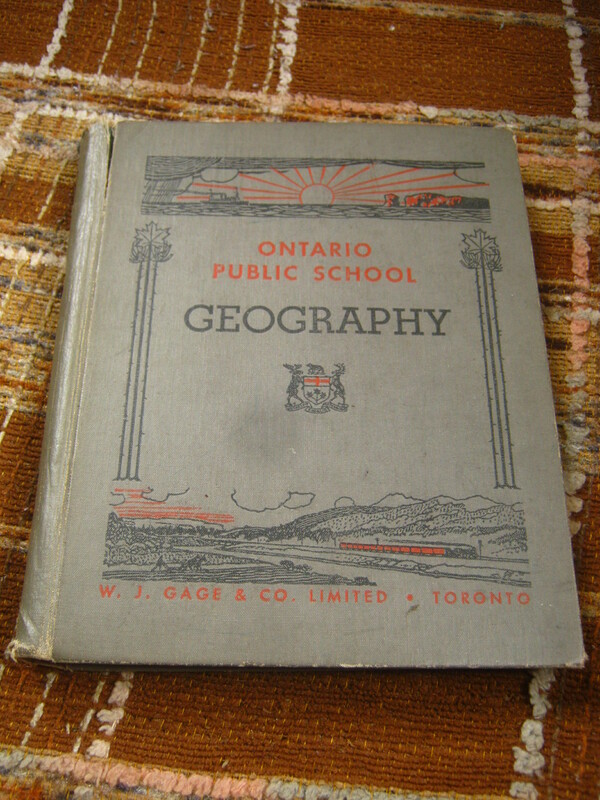 This geography textbook was published way back in 1945. Both are pretty clear propaganda pieces. 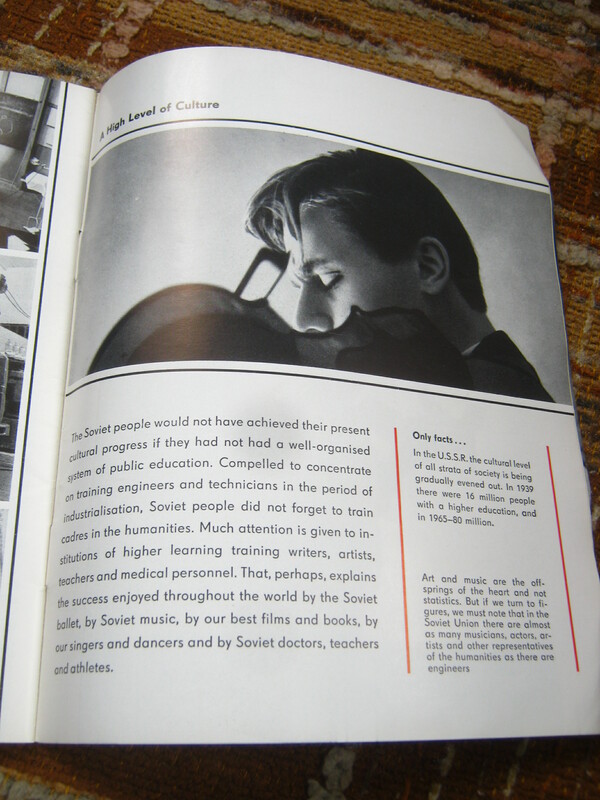 The Soviet book focusses on how great the education system is while American book tries its hand at fear mongering. It’s interesting to see in writing how extreme the “us versus them” thing was in those Cold War days. 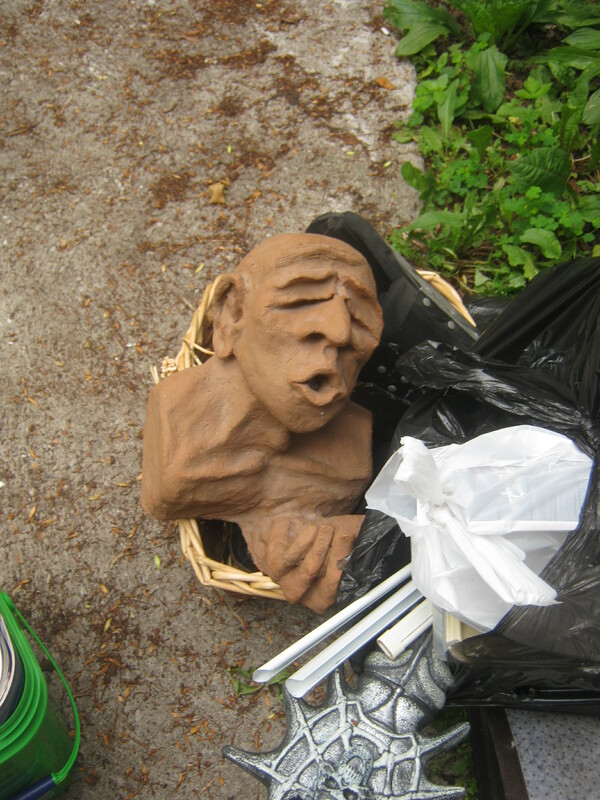 I brought this odd, definitely home-made fellow home and put him out as a decoration by my front stoop. Nearby was this heating plate thing in it’s original box. A woman came out and told me “c’est neuf neuf neuf.” At first I was all like “it’s 9 9 9?” and then I realized she meant “it’s new.” Nine and new are the same word in French. Anyways, kind of funny. I brought it home and left it for someone else to take as I don’t have a barbecue regardless. On the way back I spotted this wooden lamp. The cord was cut off, probably by a scrap-metal scavenger, but that’s pretty easy to fix. It’s a nice piece marked as being made out in L’assomption. I’m not used to getting up early. I’m going to take a nap to make up for the lost sleep before heading out to the western Plateau later tonight. I love that Old Fellow…something I would for sure buy..
you seem certain it is home made thing…it seems better to me, and if homemade, am wondering if it is by a known artitst? that lamp with the cut off cord..
just a thought..that “propaganda” you found…give it a second thought in light of the recent Snowden revelations….Just who does it really represent…? grin…Guess those revelations have made me wonder about a bunch of things.. The books look really interesting.. A great find, according to me. And as for the art piece, it looks pretty good. I remember doing a school report on communism, the communist party used to have an office in Montreal somewhere, maybe Point St Charles or thereabouts. My mom took me in there and they were super nice and enthusiastic, gave me tons of flyers and free books, this would have been in the early 80’s…what is that metal item with a skull in the middle, that looks interesting! It was a plastic toy sword. 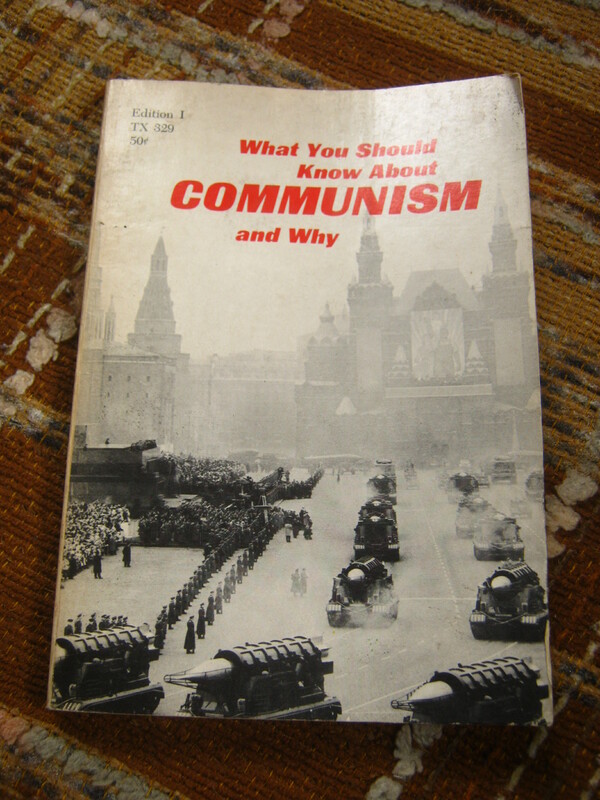 I found a pamphlet for someone running for the Communist party in the 1970s some time ago, I might still have it around somewhere. 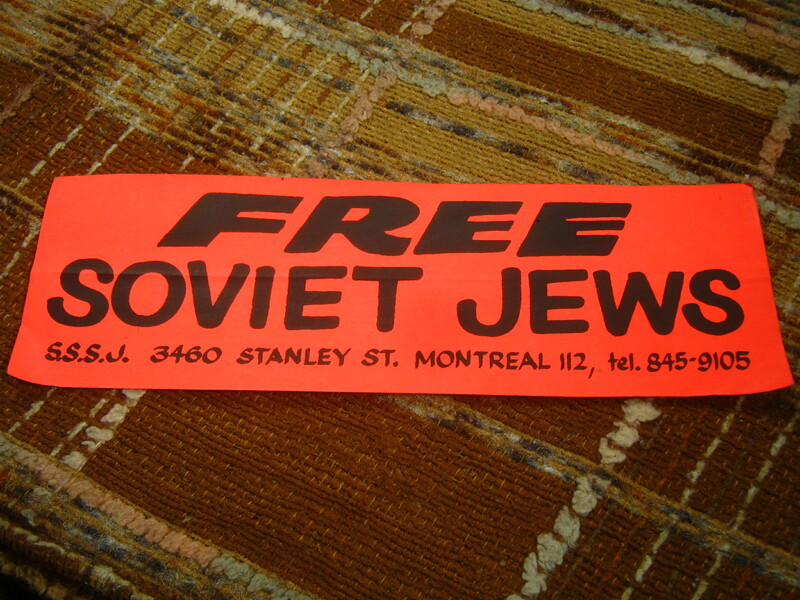 Don’t forget, in the early seventies the plight of Russian Jews was a big issue. They wanted out, the Soviets wouldn’t let them. So the bumper sticker reflects that period. Anatoly Sharansky was one of the more celebrated cases, he ended up in prison for his attempt to get out of the USSR. That address on Stanley was, and maybe still is, the address for a Jewish student organization.